Only by truly understanding a client's business and brand can the design of its magazine effectively communicate to its intended audience. 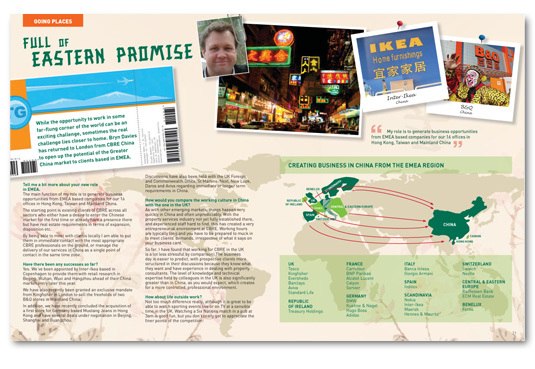 Corporate magazine design borrows from the traditions of magazine design in general. There is a need to develop a design style to fit the spirit and tone of the magazine and there is a need to design unique and inspiring magazine spreads to engage an audience etc. 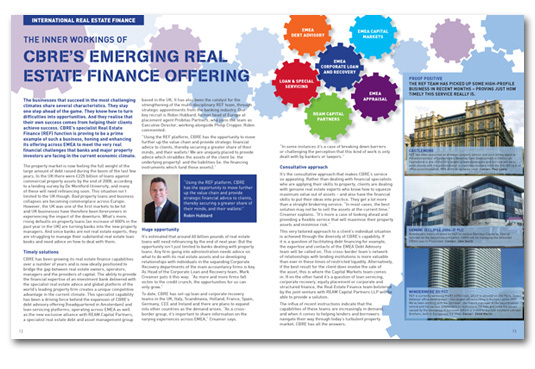 Corporate magazine design differs only in that there is also a need to get to know the business, brand and commercial values of the organisation before entering into the design phase. The brief for CB Richard Ellis's in-house magazine was atypical in many ways. First and foremost, although the company have a brand style guide, the magazine did not have to wholeheartedly reflect this. 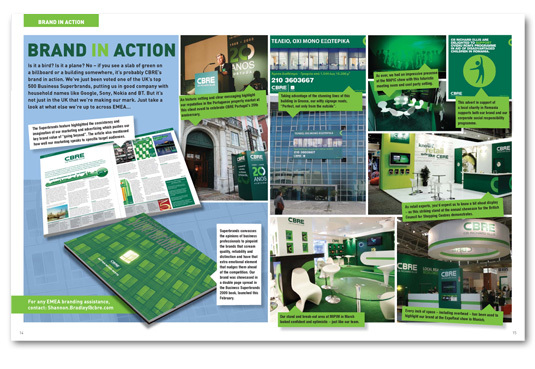 Instead it would be used primarily to entertain and secondarily to inform CBRE's employees (across EMEA). Therefore a traditional design approach - with pages heavily grid based, colours and typography pre-set - was deemed too 'corporate'. 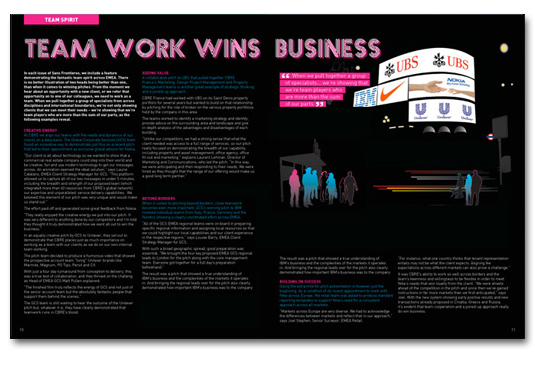 The magazine instead reflected the light-hearted nature and camaraderie of teams within the organisation. Visit the Mavo portfolio for more information about this and other related design projects.